"Ferrari Barchetta" redirects here. For the 1948 166 MM Barchetta, see Ferrari 166 S.
The Ferrari 550 Maranello (Type F133) is a front-engined V12 2-seat grand tourer built by Ferrari from 1996 to 2001. The 550 Maranello marked Ferrari's return to a front-engine, rear-wheel drive layout for its 2-seater 12-cylinder model, 23 years after the 365 GTB/4 Daytona had been replaced by the mid-engined Berlinetta Boxer. In 2000, Ferrari introduced the 550 Barchetta Pininfarina, a limited production roadster version of the 550, limited to just 448 examples. The 550 was replaced by the upgraded 575M Maranello in 2002. 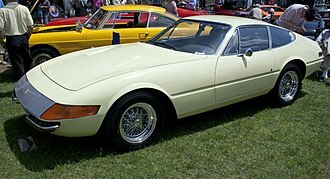 Since 1973, when the traditional front-engined 365 GTB/4 Daytona had been replaced by the mid-engined Berlinetta Boxer, Ferrari's top-of-the-line 12-cylinder 2-seater model had used a mid-mounted 180° 12-cylinder flat engine. The Berlinetta Boxer had later been developed into the Testarossa, whose last evolution was the 1994 F512 M. Under the presidency of Luca Cordero di Montezemolo, who took office in 1991, the F512 M replacement was developed as a traditional front-engined V12 grand tourer. After 30 months of development, the Ferrari 550 Maranello was unveiled in July 1996 at the Nürburgring racing circuit in Germany. The model's name referred to the 5.5-litres total engine displacement in decilitres and to the town of Maranello, home to the Ferrari headquarters and factory. Pininfarina executed both the exterior and interior design. 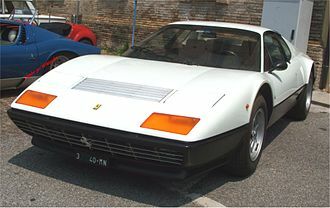 Frame and main engine components were shared with the 2+2 Ferrari 456, although at 2,500 mm (98.4 in), the 550's wheelbase was 100 mm (3.9 in) shorter. In 2002 the 550 was replaced by the 575M Maranello, which was rather an all-around improved version (modificata in Ferrari parlance) of the car, fitted with a larger 5.75-litre engine. In total 3,083 units of the 550 Maranello were produced. The 550 used a front-engine, rear-wheel drive transaxle layout, with the 6-speed gearbox located at the rear axle together with the limited slip differential. 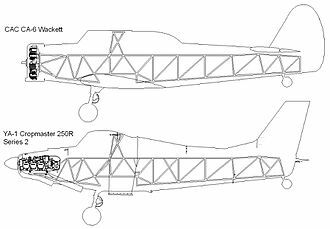 The chassis was a tubular steel space frame, to which the aluminium body panels were soldered. The Pininfarina-designed body had a drag coefficient of 0.33. 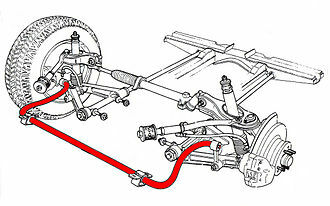 Suspension was of the double wishbone type with coaxial coil spring and damper units on all four corners, and anti-roll bars front and rear. 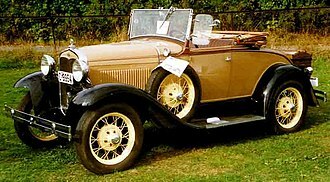 The steering was rack and pinion with variable power assist. 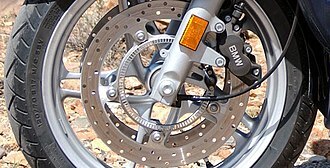 The vented disc brakes were 330 mm (13.0 in) at the front and 310 mm (12.2 in) at the rear. 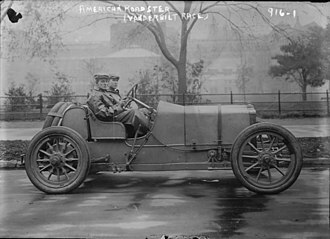 Magnesium alloy was used for the 18-inch wheels. 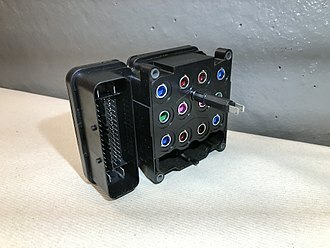 Electronic driver aid systems included anti-slip regulation, which could be adjusted on two levels or switched off completely, and four-way anti-lock braking system. The engine is a naturally aspirated 65° V12 with 4 valves per cylinder, dual overhead cams and a variable length intake manifold. It displaced 5,473.91 cc (334.0 cu in) and produced 485 PS (357 kW; 478 hp) at 7,000 rpm and 568.1 N⋅m (419 lb⋅ft) at 5,000 rpm. Bore and stroke measure 88 mm and 75 mm. According to the manufacturer the 550 Maranello had a top speed of 320 km/h (199 mph), and could accelerate from a standstill to 100 km/h (62 mph) in 4.4 seconds. Testing the 550 Maranello in 2000, American car magazine Motor Trend recorded a 0 to 60 mph (0 to 97 km/h) acceleration time of 4.2 seconds, a 0 to 100 mph (0 to 161 km/h) time of 9.6 seconds, and a ¼ mile (0.4 km) performance of 12.5 seconds at 116.9 mph. Ferrari introduced a roadster version of the 550 at the Paris Motor Show in 2000 to commemorate the 70th anniversary of Pininfarina. The 550 Barchetta Pininfarina was a true barchetta with no real convertible top provided. 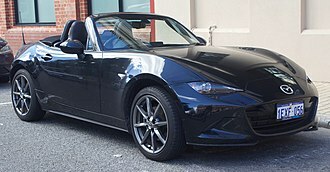 The factory did provide a cloth soft top, but it was intended only for temporary use to protect the interior from rain as using the top above 70 mph (113 km/h) was not deemed safe. 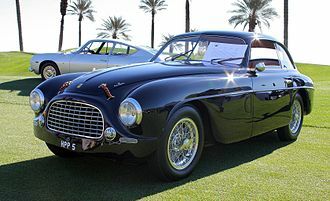 Aesthetically, the barchetta featured a more deeply raked windshield than the coupé for improved aero dynamics, roll-over hoops behind the seats for the driver's safety and a longer rear section than the coupé to complete the smooth overall design resulting in more cargo space than the coupé, even when it was less practical. Other changes included new 19-inch alloy wheels specially made for the barchetta. A total of 448 cars were produced, four more than initially planned 444 cars due to concerns of superstition in the Japanese market about the number 4. The 448 cars were preceded by 12 prototypes numbered P01–P12 on their interior plaques. To an observer the prototypes and production cars are indistinguishable. 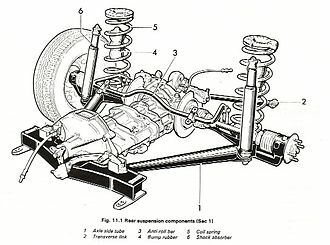 The mechanical underpinnings of the car remained the same as its coupé counterpart but the engine was given the F133C code mainly for differentiation. Performance figures differed significantly as compared to the 550 Maranello due to the loss of a roof, with 0–62 mph (0–100 km/h) acceleration time increasing to 4.4 seconds and top speed reduced to 186 mph (300 km/h). All the 448 cars had a numbered plaque (i.e. x of 448) on the dashboard with Sergio Pininfarina's signature. The 550-based Ferrari Rossa was a concept car introduced at the 2000 Turin Motor Show to celebrate the 70th anniversary of Pininfarina. The 2-door speedster shares the mechanical components from the 550 Maranello but its top speed is reduced to 185 mph (298 km/h) due to increased weight. The futuristic design cues found their way to future Ferrari production cars such as the Enzo Ferrari and the F430. It was designed by Ken Okuyama at Pininfarina. On October 28, 2009, Zagato and Ferrari revealed that they have been working on a roadster version of the 575 GTZ coupé to celebrate the 90th anniversary of the long collaboration between the two Italian establishments. 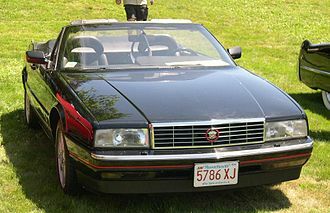 The resulting product called the 550 GTZ roadster was limited to five units and based on the 550 Barchetta Pininfarina. All five were sold at the stratospheric price of £1 million (€1.1 million/ US$1.6 million) each. 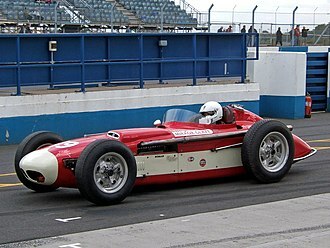 Although not intended for motorsport, some privateer teams took it upon themselves to develop the 550 for use in various series. The first racing 550, known as 550 GT, was built for French team Red Racing to comply with international sporting regulations. 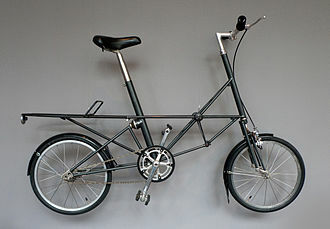 The project was developed by Michel Enjolras and assembled in the Italtecnica workshop. The car was first tested in April 1999 and was used in the GT3 class of the French FFSA GT Championship. In 2001 the car was then sold to XL Racing who continued the development and built a second car, known as 550 XL entering the FFSA GT and the American Le Mans Series. The older 550 GT also made an appearance at the 2003 24 Hours of Le Mans in the ACO GT class but failed to finish due to technical problems. In 2000, with financial support from some investors led by Stéphane Ratel, Italtecnica created another 550 race car meeting the more powerful GT regulations in the FIA GT Championship, the car being named 550 Millennio. The first car debuted in the 2000 FIA GT Championship season, entered by First Racing. The 2001 season saw two cars fielded by Team Rafanelli. The 550 Millennio was also developed to meet ACO LM-GTS regulations allowing Rafanelli to enter a single car in the 2002 American Le Mans Series season. In November 2000, German entrepreneur and engineer Franz Wieth launched another racing version of the 550, developed by Baumgartner Sportwagen Technik, and named 550 GTS. 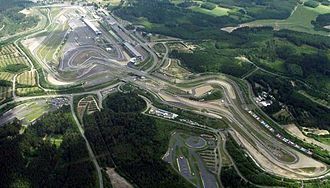 Two cars were built, with Wieth Racing entering one in the 2001 FIA GT Championship, then again in 2003, 2004 and 2005. 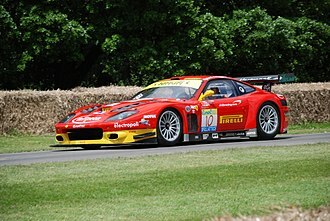 In 2006 the Wieth's Ferrari scored two wins in the Euro GT Series. Commissioned by Frédéric Dor's company Care Racing Development, in 2001 Prodrive built a racing version of the 550 for various sports car series and especially the 24 Hours of Le Mans. Initially known as 550 GTO and then renamed 550 GTS (but not related to Wieth's project), a total of ten cars would be built over the next four years and campaigned by the Prodrive team as well as privateer customers. 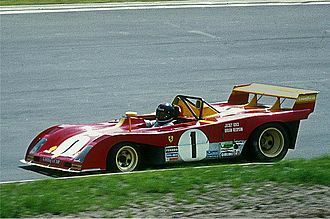 The cars were entirely built by Prodrive without any support from the Ferrari factory. The factory Prodrive team would win two races in the 2001 FIA GT Championship debut. For 2002 the BMS Scuderia Italia team would take over in FIA GT, recording four wins, while the Prodrive squad would take a single win in the American Le Mans Series. 2003 would be the best year for the cars, as Prodrive won the GTS class at the 24 Hours of Le Mans and took second in the GTS class championship in the American Le Mans Series with four wins, while BMS Scuderia Italia gained the FIA GT championship winning eight races. The Italian team would again take the FIA GT Championship crown in 2004, while Larbre Compétition won the GT1 class championship in the new Le Mans Series. BMS Scuderia Italia moved then to the Le Mans Series as well taking that championship for 2005. In the meantime Prodrive swithced to their next project, the Aston Martin DBR9, leaving the maintenance of the 550 GTS cars to Care Racing Development. Hitotsuyama Racing entered a car in the 2004 JGTC and 2005 Super GT seasons, then switched to the Japan Le Mans Challenge winning the GT1-class title in both 2006 and 2007 editions. In 2008 Argentinian Automóvil Club Argentina Team entered 2 Prodrive 550's, one of them scoring and achieving the fifth place in the Potrero de los Funes round. The last race of the 550 GTS was the 2009 FIA GT Paul Ricard 2 Hours where a car entered by French team Solution F achieved the seventh place. 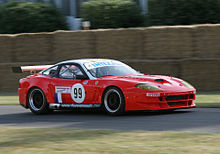 In late 2003, Australian Nations Cup Championship team Mark Coffey Racing purchased a 550 GT from Team Rafanelli to run in the 2004 Australian Nations Cup Championship. The appearance of the V12 Ferrari in Australia was eagerly awaited by fans of the category and the car was to be driven by popular young Danish driver Allan Simonsen who prior to the championship had raced the car alongside David Brabham to win the Bahrain GT Festival. In what was a limited campaign (the car only raced at 4 of the 7 rounds), Simonsen finished 7th in the championship against cars such as the championship winning Lamborghini Diablo GTR, Chrysler Viper ACR, Porsche 911 GT2 and the controversial 7.0 litre Holden Monaros. Simonsen broke the class lap record and scored a race win in the first round of the season at the Adelaide Street Circuit. Following the success of the Prodrive's 550 GTS, Ferrari would develop the 575 GTC racecar based on the 575M, offering it as a customer car for privateers. 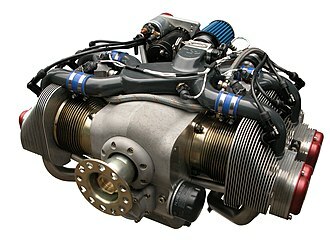 The 5.5 L F133 V12 engine won the "over 4 litre" class of the International Engine of the Year award for 2000 and 2001. The 550 Maranello is featured on the cover art and in the arcade racing game Need For Speed: High Stakes. ^ "Car and Driver Aston Martin V12 Vanquish vs Ferrari 550 Maranello Comparison Test" (PDF). ^ a b Artemi, Paolo (21 July 1996). "Ecco la nuova Ferrari 550, supercar per tutti i giorni" [Here's the new Ferrari 550, the everyday supercar]. Corriere della Sera (in Italian). p. 12. Retrieved 17 July 2015. ^ a b c d Fenu, Michele (21 July 1996). "Maranello, ecco la Ferrari del Duemila" [Maranello, here's the Ferrari of the 2000s]. La Stampa (in Italian). p. 10. Retrieved 17 July 2015. ^ a b Fenu, Michele (21 July 1996). "La linea? Bella e funzionale" [The body? Beautiful and functional]. La Stampa (in Italian). p. 10. Retrieved 17 July 2015. ^ "Road Test: Lamborghini Diablo 6.0 vs. Ferrari 550 Maranello". Motor Trend. August 2000. Retrieved 17 July 2015. ^ "Ferrari 550 Barchetta Pininfarina". Retrieved 18 May 2018. ^ "2001 Ferrari 550 Barchetta Pininfarina". Retrieved 18 May 2018. ^ "Pininfarina Ferrari Rossa". diseno-art.com. Retrieved 7 October 2012. ^ Joseph, Noah (29 October 2009). "Zagato marks the end of an era with custom Ferrari 550 GTZ Barchetta". autoblog. Retrieved 17 May 2018. ^ "2003 Ferrari 550 GT Italtecnica". supercars.net. Retrieved 5 February 2015. ^ "2004 Spec. Ferrari 550 XL Maranello Serial Number 108536". ferraris-online.com. Retrieved 5 February 2015. ^ "Ferrari's return to GT Racing". barchetta.cc. Retrieved 5 February 2015. ^ "Team Olive Garden returns with Ferrari 550". crash.net. Retrieved 5 February 2015. ^ "Ferrari 550 GTS Wieth Racing". barchetta.cc. Retrieved 5 February 2015. ^ "Rhino GT Series: c'è gloria anche per la 550 dei Wieth". 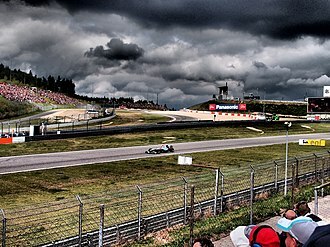 motorsportblog.it (in Italian). Blogo.it. 18 April 2006. Retrieved 23 October 2015. ^ "Ferrari 550 GTS Maranello". ultimatecarpage.com. Retrieved 5 February 2015. ^ "2004 Bahrain GT FestivalDavid Brabham and Alan Simonsen - Ra... • 107633 Raffanelli 02 #0 • barchetta • StudioLine MediaCenter". Retrieved 29 December 2016. ^ "A-Z Supercars: Ferrari 550 Maranello". Evo. 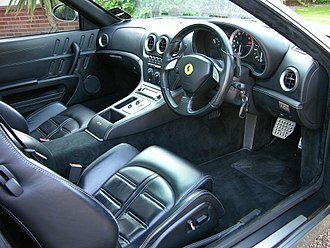 Wikimedia Commons has media related to Ferrari 550. 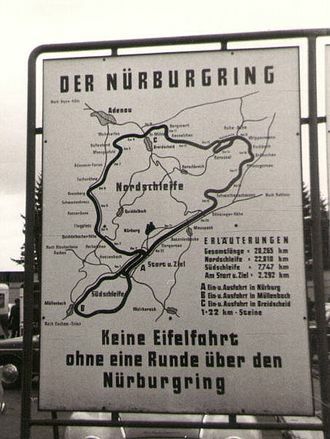 In 1932, Ferdinand Porsche designed a Grand Prix racing car for the Auto Union company. The high power of the design caused one of the wheels to experience excessive wheel spin at any speed up to 160 km/h. 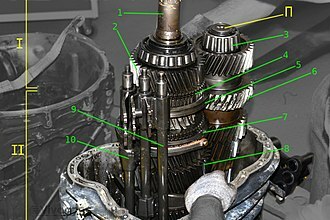 In 1935, Porsche commissioned the engineering firm ZF to design a limited-slip differential to improve performance, the ZF sliding pins and cams became available, and one example was the Type B-70 for early VWs, although technically this was an automatic locking differential, not a limited-slip. The main advantage of a differential is demonstrated by considering the case of a standard differential in off-roading or snow situations where one wheel begins to slip. In such a case with a differential, the slipping or non-contacting wheel will receive the majority of the power. For example, the right tire might begin to spin as soon as 70 N·m of torque is placed on it, since it is on an icy surface. Meanwhile, the tire on the surface will simply spin, absorbing all of the actual power output. The advantages of LSD in high-power, rear wheel drive automobiles were demonstrated during the United States Muscle-Car era from the mid 1960s through the early 1970s, cars of this era normally were rear wheel drive and did not feature independent suspension for the rear tires. 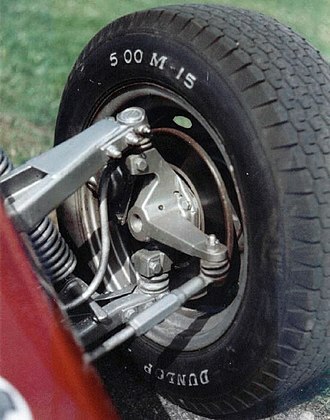 With a live axle, when high torque is applied through the differential and this coined the term one wheel peel. As such, Muscle-Cars with LSD or posi were at an advantage to their wheel-spinning counterparts. 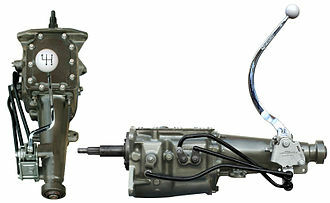 Automotive limited-slip differentials all contain a few basic elements, all have a gear train that, like an open differential, allows the output shafts to spin at different speeds while holding the sum of their speeds proportional to that of the input shaft. 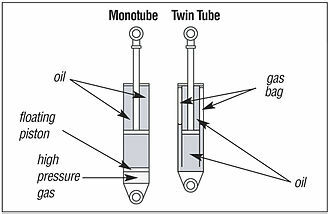 Second, all have some sort of mechanism that applies a torque that resists the motion of the output shafts. There are many used to create this resisting torque. The type of differential typically gets its name from the design of this resisting mechanism. 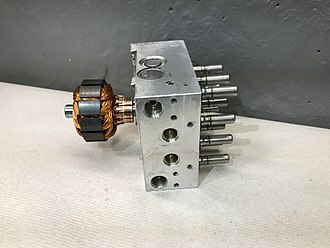 Examples include viscous and clutch-based LSDs, the amount of limiting torque provided by these mechanisms varies by design and is discussed in the article. 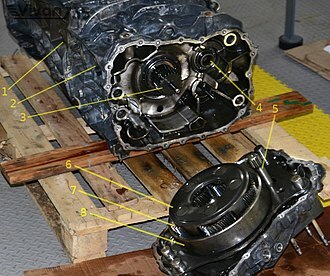 A limited-slip differential has a more complex torque-split and should be considered in the case when the outputs are spinning the same speed, the torque difference between the two axles is called Trq d.
The Ferrari 456 and 456M are front-engined grand tourers which were produced by Ferrari from 1992 to 2003. 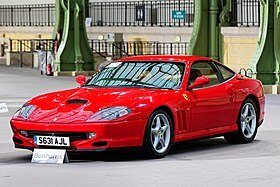 The 456 was a replacement for the defunct front-engined 412 as the companys V12-powered four seater, the updated 456M, which was the last Ferrari model to use pop-up headlamps, was replaced in 2004 by the 612 Scaglietti. Pietro Camardella and Lorenzo Ramaciotti at Pininfarina designed the original 456 which was available in GT, the difference in name signifies the transmission, the former has a six-speed manual and the latter has a four-speed automatic developed in partnership with FF Developments, in Livonia, MI. This was only the automatic transmission ever offered by Ferrari. The 5.5 L 65° V12 engine was derived from the Dino V6 rather than the more conventional 60° V12s used in the 412 and it produced 442 PS with 4 valves per cylinder and Bosch Motronic M2.7 engine management. It could push the 1690 kg car and four passengers to 302 km/h making it the worlds fastest production four-seater, acceleration to 100 km/h was just 5.2 seconds, with a 13.4 second quarter-mile time. At the time of its development it was the most powerful car ever developed by Ferrari. 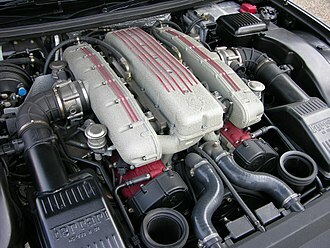 In 1996 engine was changed with Motronic M5.2 management, the name 456 is derived from the fact that each cylinder displaces 456 cubic centimeters. This was the last Ferrari to use this convention until the 488. Despite its supercar performance, the 456 has an unstressed engine. The chassis is a steel spaceframe construction with a one-piece composite bonnet. 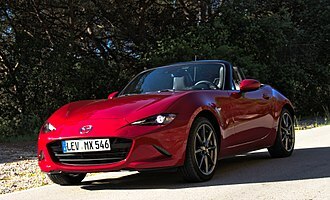 The body panels are welded to the chassis by using a special sandwich filler called feran that, approximately 3,289 of all versions were built. 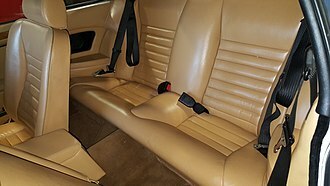 These consisted of the versions,456 GT,1,548,456 GTA,403, 456M GT,688. 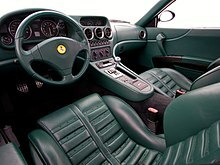 The Modificata 456M appeared in 1998, starting with chassis number 109589, many changes were made to improve aerodynamics and cooling, and the interior – still featuring Connolly Leather – was freshened with new seats and other conveniences. Some readily apparent changes can be seen in the two adjoining pictures, the 456 has a smaller grille with fog lights outside the grille.